The attack on 16 July left the 27-year-old man needing life-saving surgery. The man – who, for security reasons, cannot be named – was attacked in Hirna, a rural town 400 KM east of the capital, Addis Ababa. 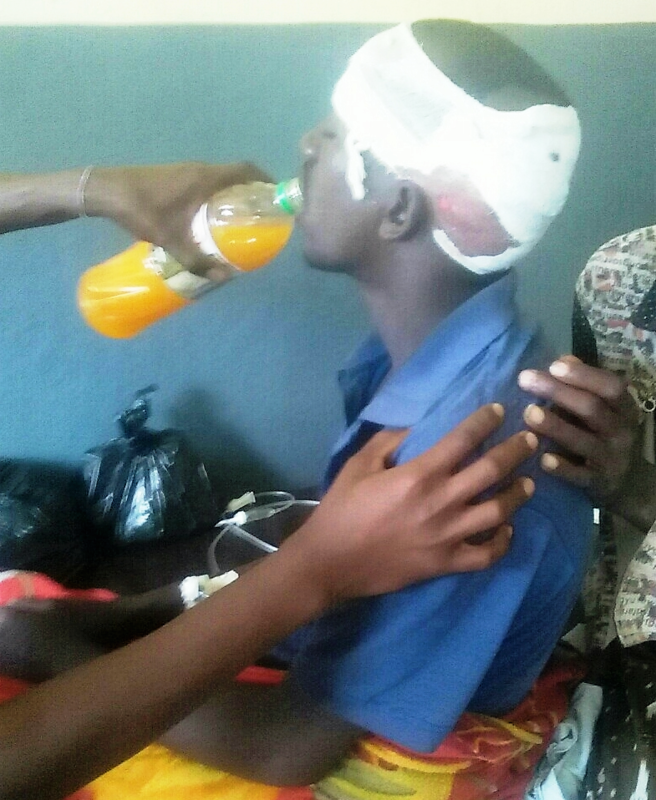 His local clinic referred him to the hospital in nearby Asebeteferi who in turn sent him to Adama, where a doctor, believing he would die en route to a bigger hospital, operated on his wounds. Although he is still unwell, the surgery stabilised him enough to be taken elsewhere for more specialised treatment. A source told World Watch Monitor that the gang of Muslims who attacked the man were angry because he was evangelising. The gang had first attacked the local Full Gospel Church and partly damaged its roof and a wall before going to the man’s house. According to Open Doors, which produces the annual World Watch List of countries where it is difficult to live as a Christian, violence against Christians in Ethiopia increased during their 2017 reporting period. More than 100 incidents were recorded including physical attacks on people and businesses, imprisonment, and murder. But Christians face other forms of harassment. A Muslim who has converted to Christianity will often be shunned by family members, and denied inheritance and child custody rights. Also evangelical Christians face challenges with the more conservative Ethiopian Orthodox Church, as well as the government. Tigray state in northern Ethiopia is considering adopting a new law that would ban Christians from evangelising outside church compounds and make it difficult for non-Orthodox Christians to own their own church or even meet in a house. However, the latest (2007) census showed that Christianity is still Ethiopia’s main religion (63 per cent of the population), and it is expanding its influence. 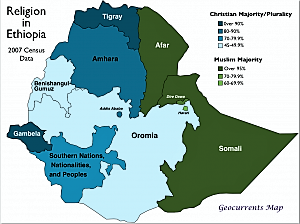 Over the past decade Ethiopia’s religious map has changed considerably – for centuries the country consisted of an Ethiopian Orthodox Christian core, a Sunni Muslim zone in the east, and an animist/indigenous-faith area in the south and the lowland reaches of the far west. In the last 10 years, indigenous faiths have diminished, in most cases yielding to Protestant Christianity, which is said to be the fastest-growing religious group in Ethiopia. This is making the country home to “one of the fastest growing evangelical churches in the world,” wrote theologian Allan Anderson in 2014.